Endometriosis as an Immune Disease? Endometriosis can sometimes be referred to as a hormonal issue, a gynocological issue, or just a "womens issue". But these issues are more descriptive of the symptoms. As we know, hormonal birth control doesn't fix the problem, hysterectomies don't fix the problem, synthetic hormones nor gynos can fix the problem. This is when we back up and look at why these symptoms are occurring and from there can address the root of the problem. Emerging science is right there, uncovering more and more that endometriosis is autoimmune related and might be treated as such. Two very recent studies drive this idea home. One peer-reviewed study from Oxford shows women with endo having a much, much higher prevalence in other immune dieases like hypothyroidism, IBS, fibromyalgia, chronic fatigue syndrome, and autoimmune inflammatory diseases compared with the general USA female population. The studied women with endometriosis were also more likely to have allergies, asthma and eczema, all indicative of an immune system on the fritz. If endo was a solely hormonal issue, why are so many women also battling this enormous onslaught of seemingly unrelated symptoms? Moreover, In 2012 an extensively peer reviewed study was published directly connecting endometriosis to auto-immune in "Is there and association between autoimmune and endometriosis" (which you should read if you have time). The study concludes that endo fulfills many markers of auto-immune diseases such as elevated levels of cytokines, decreased cell apoptosis, and T- and B-cell abnormalities. The study goes on to point out that because endo does indeed appear to be an auto-immune issue, the fact that it's still treated as a hormonal issue is a medical management problem that needs to be addressed. If we're just treating the hormones themselves, the immune system will keep malfunctioning unless we start treating the immune disease. Want a quick and easy way to see endometriosis is autoimmune related? Check out the American Autoimmune Related Diseaases Assoc. site. to see endo clearly listed amongst all the rest. If you make a check list in your head, can you think of symptoms in your own life that connects your immune system to your endo? Do you have allergies, asthma, or skin conditions? Do you battle with hypothyroid, chronic fatigue, IBS, or get sick often? I'm guessing that if you make a list of all the discomforts in your body that aren't purely "hormonal" you will begin to see your body is simply not functioning the way it should, even without the endo. Autoimmunity is when our immune system -- aka white blood cells -- misdiagnose parts of our own bodies as foreign invaders and attack them. It could attack your nervous system, your joints, your brain, your blood, or pretty much whatever. If you can imagine it, it probably exists. "And it's a big problem in America. Roughly 25 million Americans have an autoimmune diagnosis and another 50 million have auto-antibodies in their bloodstream but no clear diagnosis. The symptoms of autoimmunity often occur years or decades before a diagnosis is made. Meanwhile, our own bodies are eating away at themselves, damaging our brain, our joints, our skin, and even our blood vessels" (Dr Terry Wahls). The interesting thing is how autoimmune disorders affect people differently as their immune system selects a unique bodily process to attack. If you've heard of Lupus, Hastimoto's thyroiditis, Chrohn's Disease, Multiple Sclerosis, and Type 1 Diabetes then you know a few of the ways autoimmune occurs in people. If you're brave and want to see a full list (including endometriosis!) check out the American Autoimmune Related Diseaases Assoc. site. How do you get an Immune Disease? This conversation is still ongoing in the medical community, but it's often agreed upon the basis is lifestyle choices. Auto-immune is a degenerative disease found almost exclusively in the industrialized world, like cancer and heart disease. That's why it's imperative to treat endometriosis through a whole lifestyle approach, rather than a single facet like nutrition, or hormone therapy. Lifestyle factors that contribute to gut permeability are many in our society, such as lack of nutrition, chemical exposure, sedentary living, and even (should I say especially?) stress. All of these have a direct impact on the health of your gut. One of the factors increasingly recognized as an early trigger for autoimmunity (and a main priority of this site) is a problem called ‘leaky gut.’ or gut permeability. It happens when the wrong bacteria combine with inflammation to take over in the intestines and dissolve the glue, persay, that holds the intestinal cells together, allowing food particles to escape into the bloodstream without being fully digested. That causes your immune system to attack the intruding food proteins, thinking they are invading germs, and causing rampant inflammation. 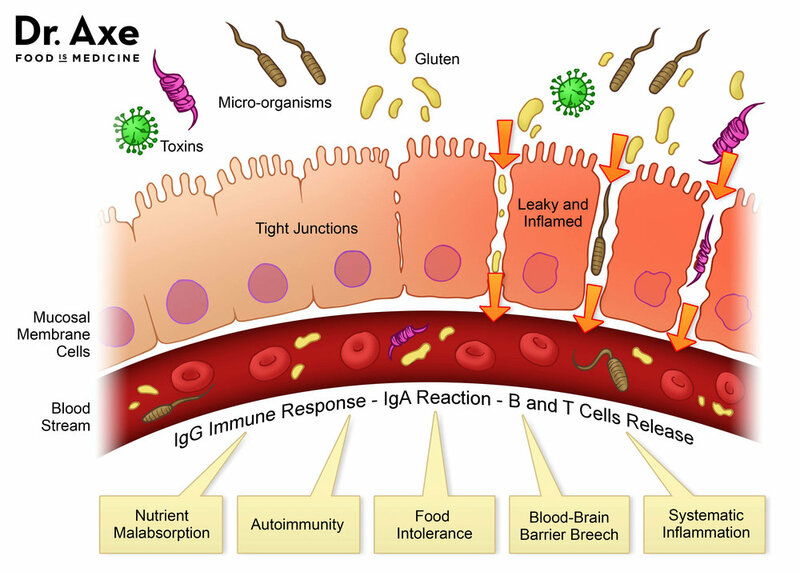 Leaky gut = an inflamed, hyperactive, and very confused immune system. Toxic exposure is especially important to look at in the case of endometriosis because of the many studies linking endo if endocrine disruptors. As explained in books including Our Stolen Future, Dying from Dioxin, and The Endometriosis Sourcebook, "scientists have come to the realization that certain chemical compounds, such as dioxin, have profound immunological and reproductive impacts at exposures far below the level known to cause cancer. These chemicals are known as endocrine disruptors and can mimic hormones and interfere with many physiological processes . The info on Heal Endo.com is really introductory, brushing the surface of these issues. To read more information about autoimmunity and holistic management please check out these sites! The more you know, the better you can tackle your endo head on.